MAYS and McCOVEY!!! The M & M Boys from the National League on the same card. 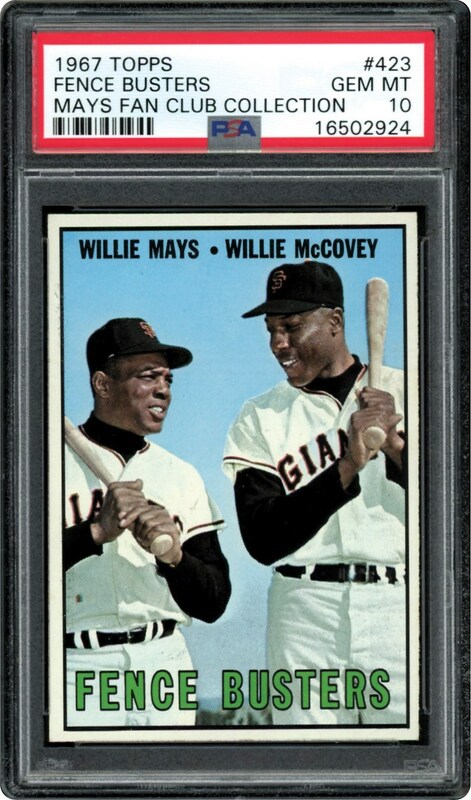 Offered is the one and only PSA 10 example of this duo on there 1967 card. A POP 1 beauty that has a pack fresh quality never seen. 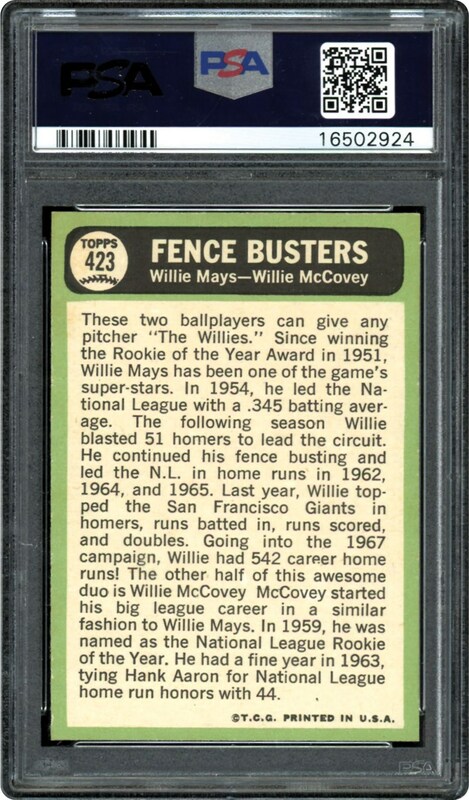 Bid to own this GIANT card that stands alone out of over 970 graded to date.